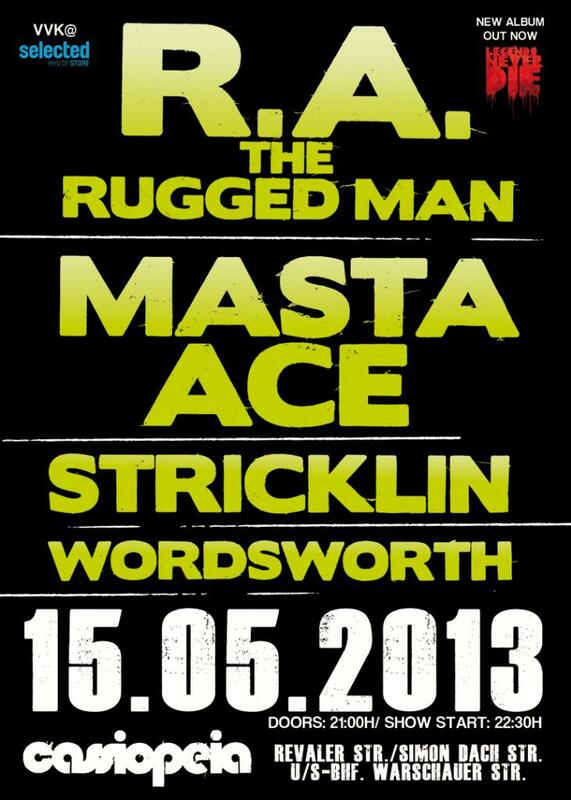 MASTA ACE & R.A. THE RUGGED MAN feat. Stricklin & Wordsworth will be one of the hottest hip hop jam sessions at Cassopeia this year. Check out our review on the club itself so you know what to expect. The performance promises a proper Eastcoast hip hop meeting between MASATA ACE and the R.A. THE RUGGED MAN, who will be promoting his new album “Legends Never Die”. For those of you who are not familiar with the work of MASTA ACE, you should probably know that he is famous for his master rapping skills and for influencing rappers such as Eminem. He is also known to have bitter feelings towards commercial gangsta’ rap and to be one of the founders of underground rap and hip-hop.